The count down to the end of summer is here! While many parents rejoice at the thought of their children going back to school, and the quiet of the house returning, we often forget what a large transition this can be for some children. 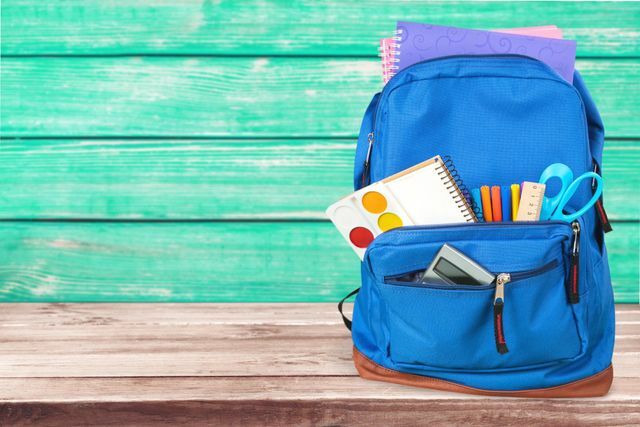 August 27th is the first day of school for most public schools in Wilmington, NC, so now is the perfect time to start preparing your child to go back to school to make this transition a little easier! Remember how nervous you were on your first day of work? Worried about if the boss would like you, or if the co workers would invite you to lunch? It’s the same for children – new teachers, new classes and peers, and sometimes even transitioning to a new school can be overwhelming, especially for our little ones! If we prepare our children ahead of time, we can get them mentally and emotionally ready to start their school year off! Here are some tips to start that transition early, so the first day of school is a breeze! · Be in the loop! Know what is going on at your child’s school. If they have an orientation or an “open” day, go with your child to learn where their rooms are and meet the teachers and the aids. Get to know some of the other parents in your children’s classes. Everyone is “too busy” in 2018 for things like PTA, but even just volunteering for one day in your child’s class room can teach you a lot about how things operate, and who they are in school! · Start that sleep schedule NOW. We are all guilty of letting kids stay up later in the summer, but unless you want the walking dead the first day of school, 2-3 weeks out begin waking everyone up for school on the scheduled time so they aren’t groggy during their first week. Oops, been letting the kids stay up many hours past their bed times? Start gradually rolling back sleep time 1 hour per week for a smoother transition. · Doctors appointments – especially if your child plays sports, they likely need an annual physical. Ensure that you have all of your child’s vaccinations up to date, and keep them in a clearly labeled folder for easy access. · Get a family calendar – its about impossible to keep up with school clubs, meetings, and sports event, so make sure everyone is on the same page. If you love digital apps, try Cozi, which as a family calendar, to do lists, and breaks down tasks for each person. If you are more of a pen and paper person, use a calendar on the fridge. Every Sunday night make sure everyone is tracking events upcoming the next week. · Make a study area – in a world where we have so much technology around us, its important for children to have a distraction free zone! Have your child help make a study area with you before school starts so they can concentrate on homework without distraction. · Start great habits NOW. Look at where your child struggles – is it getting dressed? Making meals? Help them pick out clothes the night before, or prepare their lunch after dinner so they aren’t rushed in the morning. Get them in the habit of making sure their bags and things are ready to go before bed, so they aren’t rushing around the next morning and missing the bus. · Start exercising that brain! Most children have sat around the computer or xbox most of the summer, time to get them back thinking! Learning doesn’t have to be boring, try a trip to the library, or board games like scrabble or monopoly to get those mental juices going again. · Stay positive! Many children are not looking forward to going back to school, and some are even dreading it! Try to keep the process as upbeat as possible. Focus on what the child does like at school, even if its only recess or one of their favorite staff. Make school supply shopping fun, let them pick out items in their favorite colors if possible. · LISTEN to your child, and talk about their feelings! Normalize the fact that first day nerves are a very real thing, but that they will quickly pass! Let them know that their feelings are valid, and that you are there to help them. Best to luck to all parents in the last leg of summer! About the Author: Jennifer Witkowski, a licensed professional counselor in Wilmington, NC takes wants to help YOU overcome your struggles! She offers a solution focused and collaborative approach with a compassionate lens, yet helping you hold yourself accountable for change. Fun fact: Jennifer is passionate about rescuing animals in her spare time.